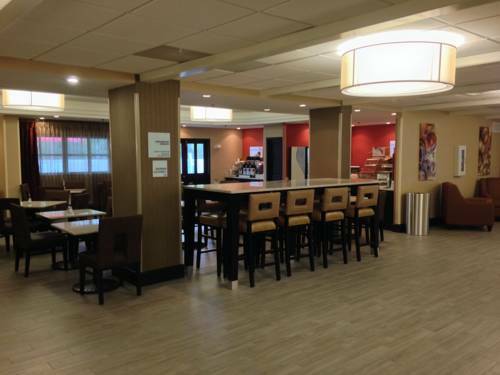 Welcome to the Holiday Inn Express I-10 Tallahassee East! Perfectly situated just off Interstate 10 at Exit 203. Whether visiting us for business or pleasure, we are the hotel for you! Located eight short miles from the downtown area, your business groups or leisure visits will be in a stress free area and still give you easy access to all areas of Tallahassee. Holiday Inn Express Tallahassee East offers everything from a leisurely morning beside the outdoor pool to a convenient Business Center & in-room work desks. Guests also enjoy complimentary Wi-Fi throughout the hotel and our complimentary signature Express Start Breakfast. We have a 24-hour Fitness Center on site & All New Accommodations! A quick walk to several excellent restaurants. Only minutes away from FSU's Doak Campbell Stadium and Bobby Bowden Field and FAMU's Bragg Stadium for all things Football! If it's quieter, more serene surrounds you desire, visit nearby Maclay Gardens & Oven Park. Enjoy the beauty that defines Tallahassee! Northeast Tallahassee Shopping AreasMany new upscale shopping venues within a two mile radius including Fresh Market, Shoe Station, Blue Abbaco, Jos A. Banks, Lilly Pulitzer's Pink, and many others! Also, we are only a few miles from Target and Wal-Mart department stores.